Thank you for trusting me with your professional development. 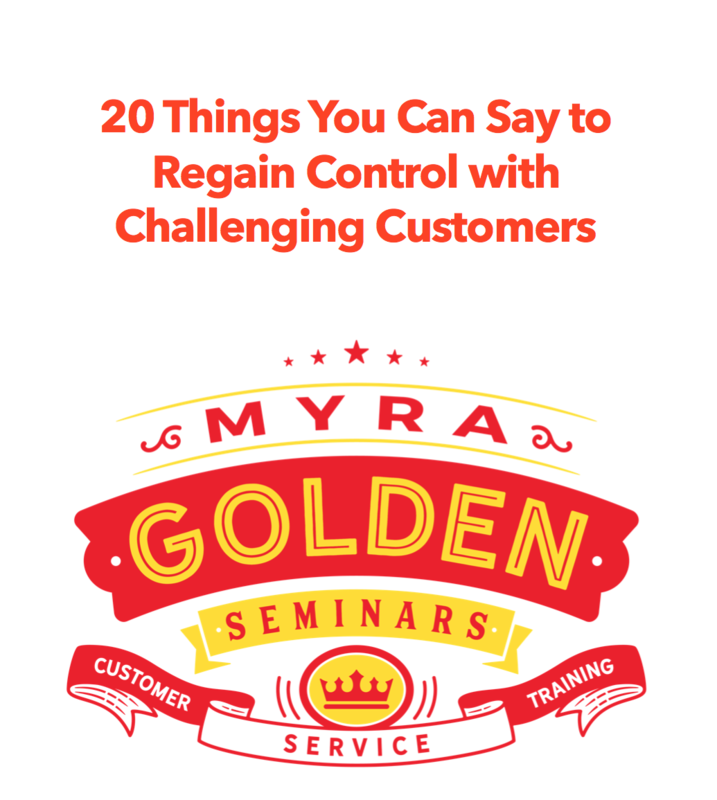 Creating calm with difficult customers is not a matter of using aggressive tactics. It’s also not about employees being a doormat, giving in to customer demands or escalating to a supervisor. This training is about how to take assertive control, create calm and pre-empt escalations. Customer Service Online Training On Our Site! Get Myra’s Training In SCORM 1.2 Format For Your LMS! Visit “SCORM Courses” in the navigation menu to learn more. What Makes Myra’s Training Different? Get Myra’s Blog Posts Delivered to Your Inbox!